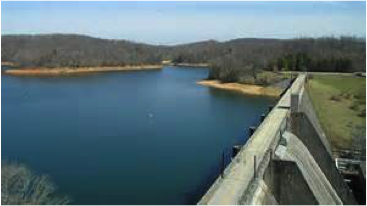 In its last three budget proposals (FY 2014, FY 2015, and FY 2016) the Obama administration indicated that it is considering whether to divest all or part of the federally owned Tennessee Valley Authority (TVA) as a means to pay down the U.S. debt. The selling off of the TVA to private owners would have far-reaching consequences, especially for the 9 million people living in the 80,000 square mile region—parts of Tennessee, northern Alabama, Mississippi, Kentucky, Georgia, North Carolina, and Virginia—to whom the TVA provides electricity and other services. 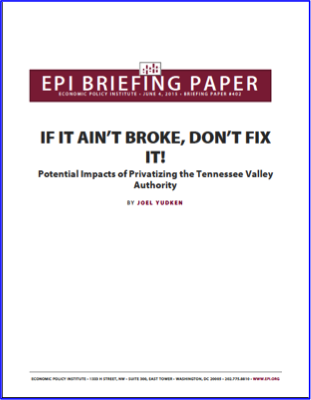 In response to concerns raised by stakeholders in the region, the Economic Policy Institute (EPI), commissioned High Road Strategies (HRS) to provide an independent assessment of the potential impacts of privatizing the TVA. The report summarizing the findings of this study, entitled If It Ain’t Broke, Don’t Fix It!, written by HRS’ principal Joel S. Yudken, was released by EPI on June 5, 2015. It makes the case against privatizing TVA, and shows the benefits of continuing the agency’s integrated approach to electricity generation, river and land management, environmental stewardship, and economic growth and development. The report can be found on, and downloaded (in PDF format) from, EPI’s website (as well as here). EPI also released a press release, reaching out to both national and local TVA area media. 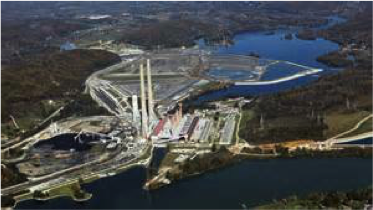 Aside from brief mentions in Politico, two major news outlets in the TVA region—the Chattanooga Times Free Press and Knoxville News Sentinel—printed stories on the report’s release and findings . 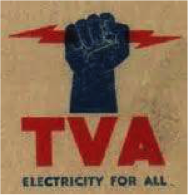 The Tennessee Valley Authority. 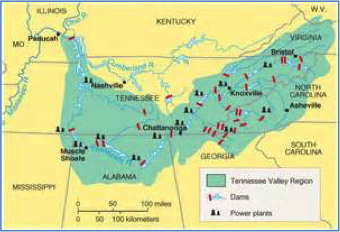 The Tennessee Valley Authority Act of 1933 established the TVA during the Roosevelt administration, to bring electricity to the impoverished Tennessee Valley region, provide for flood control and improve the navigability of the Tennessee River, and promote the agricultural and industrial development of the valley, among other purposes. 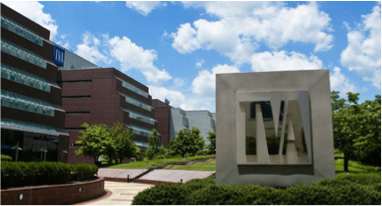 Although the TVA is a corporate agency of the United States, its operations have been self-financing since 1999, requiring no taxpayer money. The TVA operates one of the nation’s largest electric utility systems—in 2013 it had 37 GW of electric power generation (summer net) capability and over 16,000 miles of transmission lines. 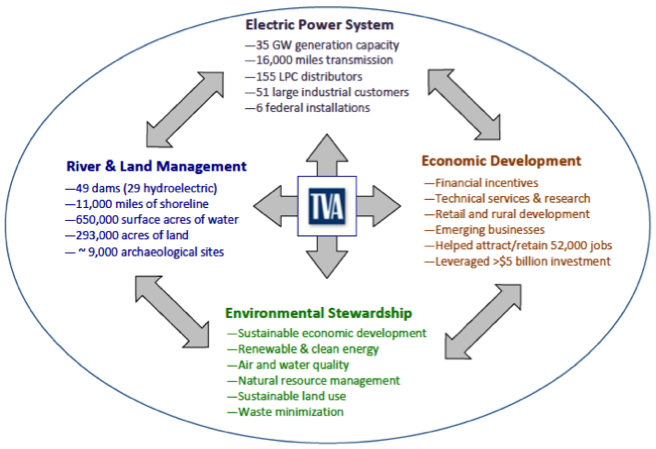 Even though electric power generation and transmission have become TVA’s dominant function, they remain integral to its nonpower responsibilities, which include river and land management, environmental stewardship, and economic growth and development. As represented below, the operation of the TVA system as a whole cannot be understood without appreciating the multiple linkages among these various functions. Privatization debate. Over its 80-year history, the TVA has had an excellent track in almost every area of its operation, and delivered substantial benefits throughout the Tennessee Valley. Yet, its existence as a federal entity was challenged from its inception. Republican lawmakers and conservatives opposed the TVA as an illegitimate government intrusion into the marketplace. More recently, conservative journals and think tanks have criticized the TVA’s performance, claiming it no longer provides low-cost electricity, and warned of a bailout if the TVA exceeds its $30 billion statutory debt limit. They call for the TVA to sell its assets in a competitive auction, to bring it under the “rigors” of the marketplace. Findings. The EPI study builds on and extends the findings of the Lazard report, assessing the impacts that could result from privatizing the TVA on the TVA’s electric power system—on the new, restructured system’s ability to provide reliable and affordable electricity to stakeholders in the region; and on TVA’s nonpower functions, especially in its role in river and land management, environmental stewardship, and economic growth and development. Inject uncertainty and complexity into the performance of all the TVA’s power and nonpower functions, during and after the complicated process of carrying out proposed divestiture scenarios. In addition, instead of a single authority with responsibility for planning, implementing, and governing the various functions, under divestiture there would be many different, sometimes competing responsible entities, including federal agencies, state regulatory bodies, and private utilities. Difficulties coordinating these entities could inhibit the ability to improve operations, build and rebuild facilities, and provide services the same effectiveness and smoothness that the TVA offers today. There is no question that the TVA needed to address serious financial problems and bring in new leadership to lead a renewal effort. The silver lining of the privatization debate is that it may have spurred the TVA to make these necessary changes while preserving its overall capacity as an integrated system. The old cliché is apropos here: “If it ain’t broke, don’t fix it.” As TVA CEO Johnson observed, in an interview about the potential impacts of privatization on the TVA’s nonelectric functions: “I just don’t see how, as an economic proposition, this could be done better than it is today” [Executive Intelligence Review 2013]. Dave Flessner. “Study criticizes White House suggestion to sell TVA.” timesfreepress.com. June 5, 2015. Cindy Harrington. “Another study rejects privatization of TVA.” knoxnews.com. June 5, 2015.